How do I add notes to a shift? If you want to add a note to a shift for your employee, you can do this from the schedule page. 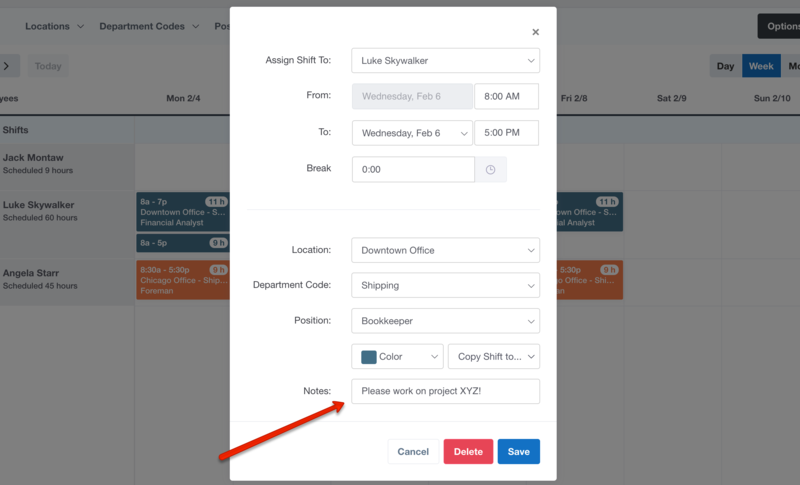 When you go to create a new shift for an employee, you will have the ability to enter a note. The note can be viewed by your employee, so this is great way to relay important information pertaining to their shift.